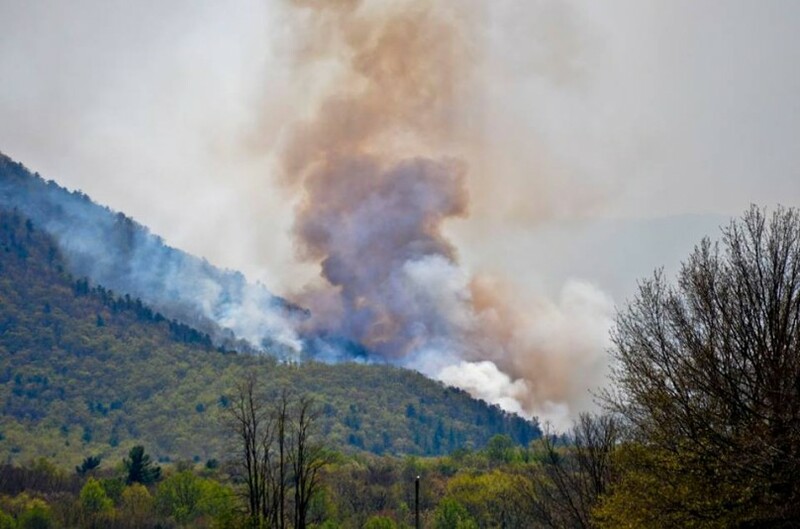 A furious fire burning since Saturday has consumed large swaths of the southern part of Shenandoah National Park while low humidity and little rain help fuel the flames. Several roads and trails in the park are closed, including southern portions of Skyline Drive and 12 miles of the Appalachian Trail. Some of the trails still closed are are the Appalachian Trail from Blackrock Gap (mile 87.5) to Powell Gap (mile 70) and Skyline Drive from Swift Run Gap (mile 65.5) to Blackrock Gap. 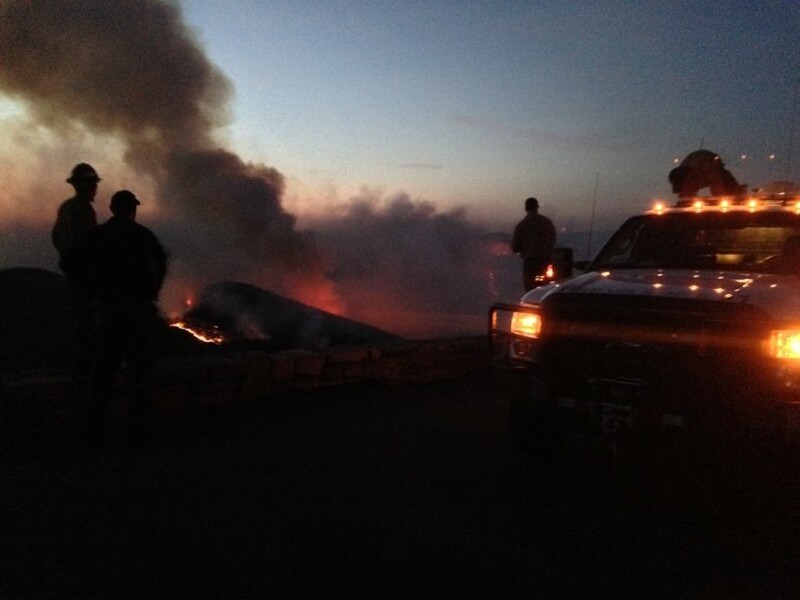 No homes near the park have burned in what is being called the Rocky Mount Fire, named after a mountain in the park in the vicinity of the fire, even as the flames jumped across several fire lines dug to help prevent the fire’s spread Wednesday evening. More than 350 firefighters from 33 states are on the scene including personnel from the park service and firefighters as far away as Puerto Rico, the Virginia Department of Forestry, the agriculture department and others. A photo from the National Park Service showing darker smoke indicating an increase in intensity and burning of denser hardwood fuels. The fire is the second worst fire in the park’s history, the worst fire being the wildfires that burned near the town of Shenandoah that started within the park near Old Rag Mountain and the Pinnacles area in November of 2000. That fire scorched a total 23,000 acres and was believed to have been caused by a mixture of factors including arson and campfires. Officials don’t know what started the fire but arson is currently suspected as the cause of this and several other fires that have been burning in Virginia. Officials are now offering a $2,000 reward for information leading to the cause of the start of the fires. Scattered rain is being forecast through the end of the week, with some significant rainfall expected Thursday and Sunday. Park officials say until significant rainfall occurs, stopping the fire from burning will be difficult, and instead insist containment is the best option at this point. Little rain and a plentiful supply of fuel have made the fire difficult to extinguish. A brown haze has filled the skies in parts of Rockingham County, Va. Residents are asked to only call 911 if they see a fire burning NBC 29 reports. Officials still remain confident they can confine the fire which has currently burned five percent of the 200,000 acre park frequented by over a million visitors each year for stunning forested views and excellent hiking. Despite the fire, much of the park and businesses around it remain open for business.